The Oakland Mills Board regrettably announces the resignation of Liz Crammond. Liz resigned due to a new employment opportunity. We thank Liz for serving on the Board and wish her the best with her new job! 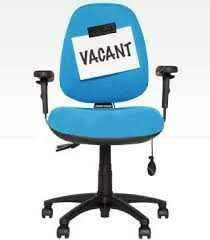 We are now seeking to fill one vacant board seat. The Oakland Mills Board of Directors is seeking a qualified Oakland Mills resident who is eager to serve this community for the current board term which runs through April 30, 2019. Be a part of our “team” as we celebrate Oakland Mills 50th Birthday! Meeting on the 2nd and 4th Tuesdays of every month, the Village Board is deeply involved in many issues that are crucial to Oakland Mills, such as school redistricting, reinvention of the Village Center area, maintaining architectural standards, and improving safety-to name just a few. We also support our village staff in looking for ways to welcome newcomers and engage long-time residents. Board members interact frequently with county and state representatives, as well as County Department heads and officials and our local community police officers. Based on the dedication of its residents, Oakland Mills has earned a reputation as the most active and involved of all the Columbia villages, but to do that we need a fully staffed 7-member Board. The current term ends on April 30, 2019. If you feel you have something to contribute and would like to know more about this opportunity, please email Village Manager Sandy Cederbaum by August 14, 2018. Since Village Board members also serve as members of the Architectural Committee, they must be in compliance with Village Covenants if they are property owners (contact Sandy at the email link below for details on how to certify compliance).